AP photo A man surveys the damage caused by earthquake and tsunami in Palu, Central Sulawesi, Indonesia, Saturday. 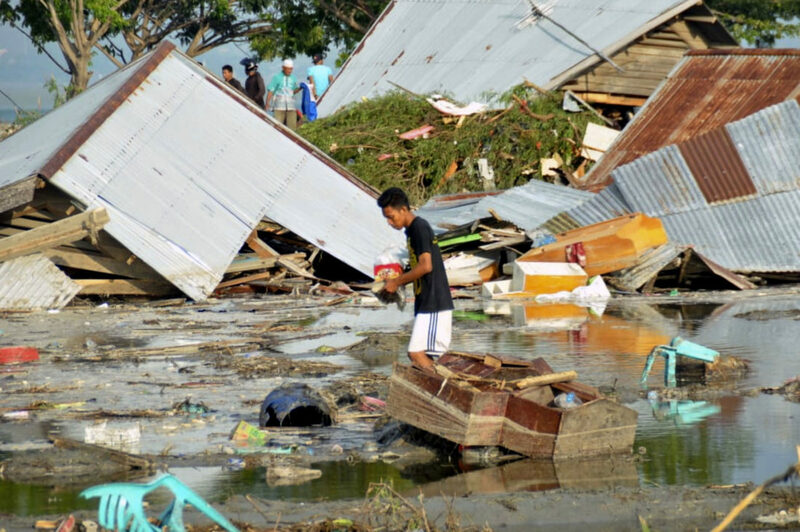 The powerful earthquake rocked the Indonesian island of Sulawesi on Friday, triggering a 10-foot-tall tsunami that an official said swept away houses in at least two cities. PALU, Indonesia (AP) — The powerful earthquake and tsunami that hit Indonesia’s central Sulawesi province has claimed many victims, a disaster official said Saturday, as rescuers raced to reach the region and an AP reporter saw numerous bodies in a hard-hit city.